I have a serious soft spot for velvet. I love it on couches, dining chairs, pillows and cozy chairs. It adds so much warmth to a room and looks so fancy! I love it so much that I reupholstered some chairs in grey velvet last year! But lately, I’ve been swooning over velvet in bright hues — green in particular. 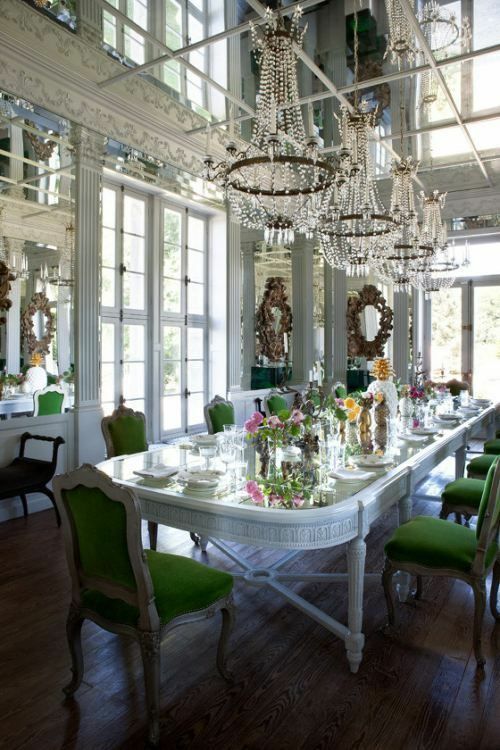 How awesome would those green chairs be in my dining room someday? Or possibly one of those tufted couches in my future dream office! Yes, please! I love that green adds an unexpected pop of color and gives any space such personality. While a green velvet couch is amazing, I threw in a few more green velvet pieces that were just as gorgeous and to show that there are so many ways to incorporate this bold color. What do you think about green velvet — would you put it in your house?